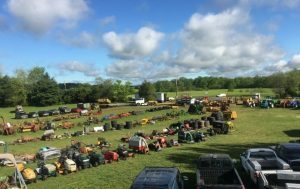 The 2nd Annual Durand Charm Consignment Auction to June 30, 2019. The Auction will start at Noon Sharp. Hack’s Auction of Pecatonica, will be the auctioneer this year. Consignment items will be accepted on Saturday, April 29, 2019 from 8:00 AM – 5:00 PM. The auction will be held at the Durand American Legion, 211 N State Street, Durand, IL. Consignment items can also be checked in at the American Legion Hall. To consign, Please contact Chris DeSchepper at (815) 978-8694. If bringing a large number of small items, please bundle the items and include an itemized list of items in the bundle. Would you like to help with the planning and organizing of this fundraiser? Have Questions? Need Additional Information? Ready to Volunteer? Contact Chris DeSchepper @ 815.978.8694 or chrisdurandcharm@gmail.com.